An aperitif is a small Italian drink served before a meal. Luca Marinelli has just finished the apertif course of his career now preparing for the main dish of major stardom. 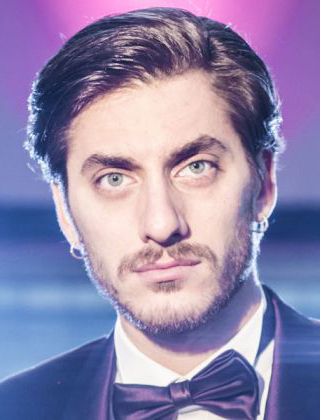 Born in Rome 29 years ago to a Southern and Middle Italian family Luca did not always want to be an actor. When he was a child he had dreams of becoming archaeologist but decided to follow his imagination always focused on movies and fairy tales. Being cast in “The Solitude of Prime Numbers” brought Luca widespread attention. Variety described the newcomers in the film as “impressive”. When I ask him what type of role interests him he jokingly replies “money” then I remember the quote from Noel Coward “If you must have motivation, think of your paycheck on Friday.” But Luca gets more serious with the response by saying when he reads a script he imagines the physical detail of the character with body movement and presence. Was there an actor or performance that influenced you wanting to work in front of the camera? I grew up watching Old Italian Cinema from the 50’s to the 80’s. It is something indelible. 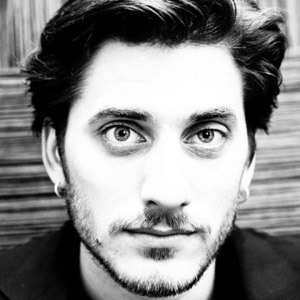 I am a fan of Kim Rossi Stuart’s work but other Italian actors. A great performance by an actor I admire inspires me to go further. 81/2 and La Grande Guerra (The Great War) are my favorite films. Many actors use their looks at the beginning of their careers to land roles then play down their looks after becoming established. I have noticed you are not playing into your looks. Why? I love to put on a mask that helps me go beyond myself. It helps me filter my feelings. When I wear a costume, have a different haircut or use a new way of speaking I use these details to draw out the character. I enjoy the challenge. Looking over your work I see an attraction to dramatic roles. Is that a preference? I really don’t have a preference of being dramatic. The roles I’ve chosen I happened to fall in love with the characters. I saw the ironic and cynical side in them. Do you have a wish list of directors you would like to work with on a film? All the directors I have worked with so far have been great. I would like to repeat the experiences. Of course I would like to work with Bertolucci, Salvators, the Andersons (Wes and P.T.) Kaufmann, Almodovar, Inarritu, Cohen, and Malick. There are also many new young directors that have great ideals. I hope I have an opportunity to collaborate with them also. I think that is enough for the next 10 years. I am finishing a film shot in Italy and Southern Chile by Alessandro Lunardello, called “Il Mondo Fino in Fondo”. In America we have this obsession with the Roman Empire. What is your favorite place in Rome? Foro Roman! There is such emotion climbing down into it. Imagine living during the peak of the Imperial Rome being in this space with a continuous flow of people and events.